By Ann-Christine Diaz . Published on August 02, 2018. 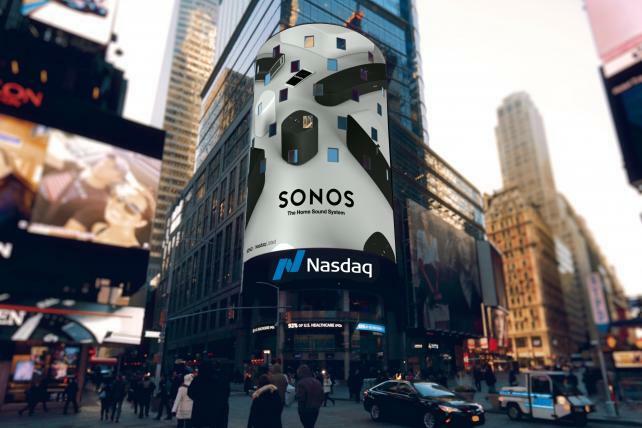 Sound technology firm Sonos rang in the news of going public today in a huge way -- it reconceived Nasdaq's opening bell. Simply put, the bell sounds, well, like money being made. "The way I think of it, it's the sound of global commerce," says Nasdaq Exec VP and Chief Marketing Officer Jeremy Skule. Sonos worked with its new communications AOR Edelman during the concepting phase of the new bell idea, while Anomaly helped developed the creative around it. To create the ring, Sonos Sound Experience Leader Giles Martin, a multiple Grammy-winning music producer who has worked with The Beatles, Elvis Costello, Jeff Beck, INXS as well as directors including Martin Scorsese, Ron Howard and Matthew Vaughn, teamed with Sonos scientists and engineers as well as veteran sound engineer Chris Jenkins. 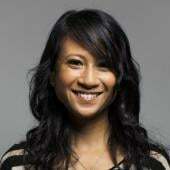 Jenkins is a Sonos Sound Board member who advised on the development of the Sonos Beam smart speaker and has worked on countless films, including "Mad Max: Fury Road, " for which he won an Oscar. The move, an idea that came from Sonos, speaks to the brand's passion for and commitment to sound on a landmark day for its business. And for Nasdaq, it's an unconventional expression of a new branding effort that began running last fall, "Rewrite Tomorrow," that Skule says embrace's the company's focus on technology, grounded in the concept of "relentless possibility." Nasdaq rejiggered its brand strategy last year, following the appointment of new president and CEO Adena Friedman. Compared with the NYSE, associated with more stable, longstanding blue-chip companies, Nasdaq is known as the exchange for high-tech players--home to the likes of Google, Amazon Apple, and Facebook. The Sonos partnership helps to cement this reputation. "We're also big believers that audio is going to become an increasingly important part of commerce," Skule says. The bell won't stop at just market open and close. After Sonos' IPO, we can expect to hear it "across marketing platforms and across our different assets," he says. In developing the new bell, Nasdaq provided Sonos with a pretty open brief. "We gave them what we're trying to accomplish and asked them to bring us something that aligned with it," says Skule. "With the kind of creative brain power from Giles and Chris, we didn't want to overdirect them." Creating the tune started with experimentation--as well as a nudge from Jenkins' dog, whose barks had set off chiming from Tibetan bowls in his studio. Then, it was a process of layering in many other elements, such as forks in the kitchen, brushes, chains, various tools -- and, fittingly, the sound of coins clinking and spinning. "I always think with any sound you create, it's how much energy you put into it, so we threw everything at it, I suppose," Martin says. The goal was to convey the "bursting of a new day. We sought to make a bell that is life, basically." The biggest challenge, he adds, "was to make something interesting without being irritating. It's a bit like making great food -- everything needs to blend correctly so nothing stands our too much. On top of that, you need to make sure you're on brand for Nasdaq." The different elements, in a way, tell a story. "There is some humor in the idea of using coins," he explains. The clinking glass is also a hat tip to companies marking their milestones with the opening bell. "It's about having variation," he says. "It gives it soul."